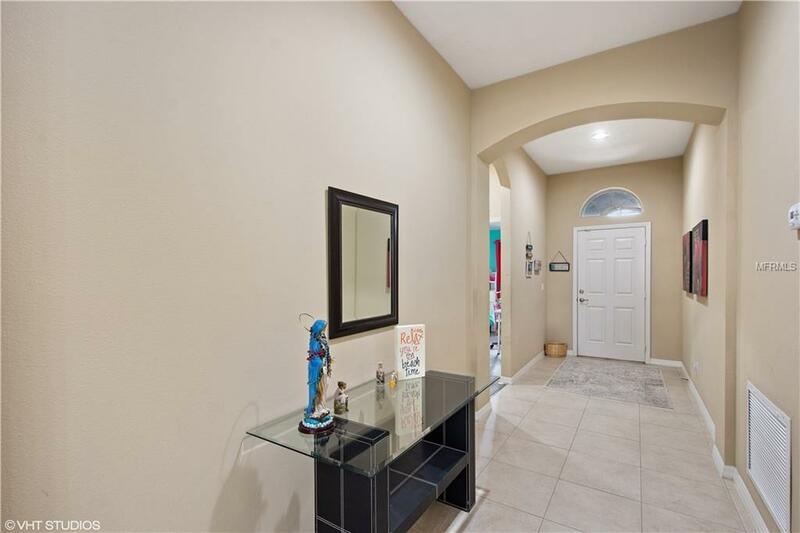 This 3 yr young home located in culdesac, has a wonderful open feel with a great comfortable layout making it the perfect 1 story home to down size or up size. Now let's walk thru your new front door, setting your eyes on the oversized entry way with vaulted ceilings throughout. This is sure to please your decorating pallet as you imagine your new furniture placement. The split bdrm floor plan has 2 bdrms located up front that share a common full bathroom. As you walk deeper into the home you cant help but appreciate the DR area with a lovely tray ceiling above. 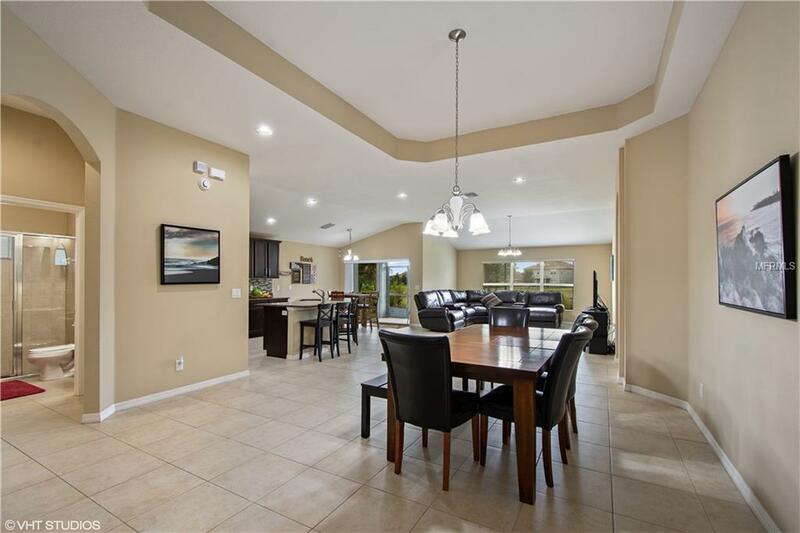 The very open concept kitchen is filled with beautiful dark cabinets, GE stainless steel appliances & overlooks a Huge great room which is perfect for entertaining and daily living! The spacious Master suite faces rear of home with 2 seperate walk in closets. The Bathrm has beautiful granite counter tops with dual sink placement along with a soaking garden tub & seperate shower. The 4th bedrm is next to the guest bath which has a pedestal sink & a full shower. 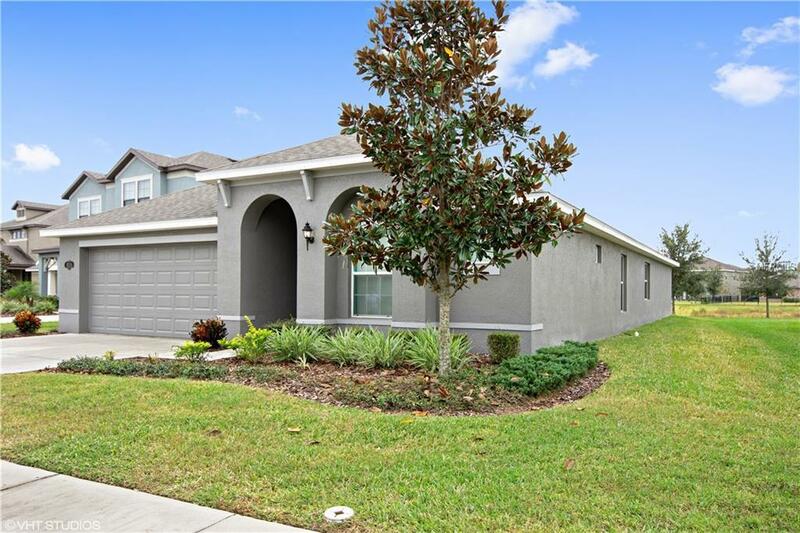 This adorable little lovely comes equipped with screened in lanai at back patio, blinds, granite, washer & dryer, water softner & ADT alarm system. Let's not forget brick pavers on the front entry with coach lights & much more! The bedrooms are newly painted with complimenting new luxury vinyl plank flooring. Perfect for the households with pets! 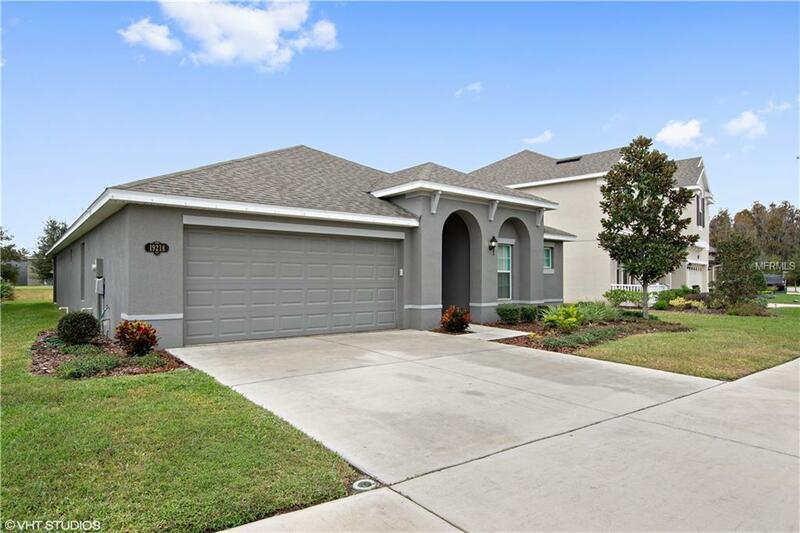 Home is near to all incl Top rated schools,USF, regional public library, airport, dining galore, malls & more! 7 min drive to I-75/BBD. Call Today!